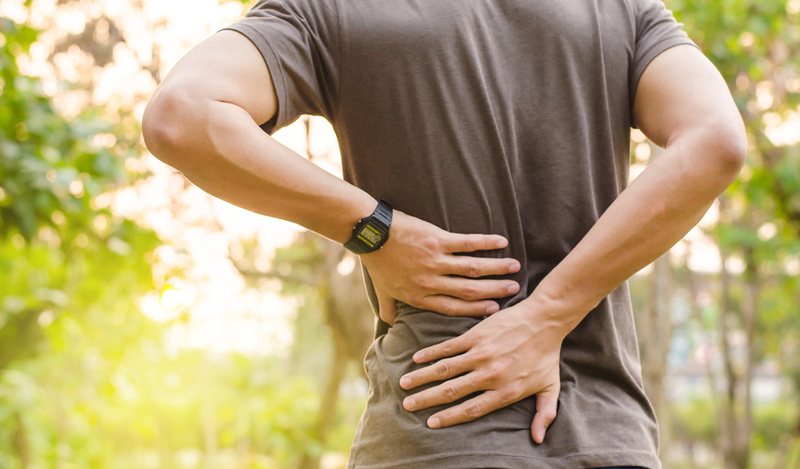 Degenerative disc disease can seem like a mysterious ailment, but the pain and other symptoms it can cause are all too real. If you've been searching for drug-free, non-surgical solutions to this form of agony, you've come to the right place. Here at West LA Neuro-Kinesiology: Nerve, Disc, and Neuropathy, we offer a variety of safe healing modalities through our holistic doctor, Dr. Britton. The term "degenerative disc disease" can cause some confusion because no single disease or disorder lies at the heart of it. In reality, the term describes age-related changes that occur in the vertebral discs and surrounding spinal structures. One of the most common of these changes is the shrinkage of the discs due to loss of water content. As the discs lose height, they may bulge outward to press against major nerve roots along any part of the spinal column. At the same time, the loss of height puts abnormal stress on the joints that articulate your vertebrae, causing chronic pain. Over time, you may also develop herniated discs, bone spurs, spinal stenosis, and other painful complications. Non-Surgical Spinal Decompression – Its like Rehab for your Discs! Your chiropractic Neuro-Kinesiologist in West Los Angeles may also recommend non-surgical spinal decompression therapy. This technique pulls bulging discs away from nerves and infuses them with water and other nourishing substances to restore disc height. Class IV laser therapy - This painless laser technique can ease the inflammatory pain in the vertebral joints and neuropathy caused by pinched/damaged nerve tissue. Functional neuro-orthopedic rehabilitation (FNOR) - FNOR can essentially re-train your nervous system and brain to respond to pain signals differently. CBD (Canna-Innate) - CBD may play a useful role as part of your holistic degenerative disc disease program. High volt direct current electrical stimulation - Electrical stimulation therapy has been shown to reduce spinal pain while increasing mobility and function. Call Our West LA Neuro-Kinesiology Today! Degenerative disc disease is a chronic condition that can make your life miserable, but you have the power to fight back against its effects. Call our West Los Angeles clinic at 310-427-7374 to schedule an appointment with our holistic doctor!